Many companies hire remote team members for their projects which helps them in establishing their businesses. Let’s start with the remote team. Having a remote team for your business is an excellent idea if you know how to manage the team efficiently. Next, what do you understand by the remote team? What do they do and how do they work for enterprises? 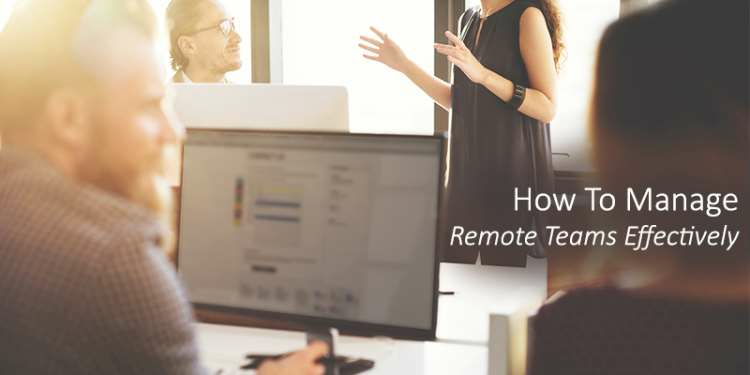 The remote team is a team where each of the employees of an organization is working from remote places such as from home with the qualifications they hold as an IT professional. These are the resources which help in building the organization. The remote team is as compatible or a fit with your organization as corporate employees. The remote team does not require extra facility such as wifi, AC, cabin, office infrastructure. They work on their utilities which financially benefits the employers. Why you need a remote team? The remote team has now come into the focus of business corporations with the latest technological advancements. Businesses are not only limited to a traditional workforce structure these days. They look forward to hiring freelancers online to grow their business because they understand the impact that the freelance expertise has on their business productivity and growth. Get access to a large talent pool: You can hire freelancers online from the top cream from a global talent pool. You have to option from hiring freelancers from a particular geographical location or several freelancers from different places for your remote team. Lower costs & improved productivity: Saving on the office-related expenses is one of the main advantages of having a remote tea. Increased productivity (more output in less time) is another benefit when you hire the right full-time or freelance expert for your remote team. Increased cash flow: When you have a remote team comprising of n exceptional professionals in place, businesses gain a significant competitive advantage, reduced costs and increased revenues. Hire more part-time remote workers: Along with full-time on-site workers, you can also go for remote workers on a part-time basis. Not every company requires full-time employment, and it is more cost-effective to hire remote professionals. An employer can easily hire remote professionals through freelancing websites. Have a proper communication system: thoroughly with the remote team members: Working with the remote team is not just assigning them a task. You need to have an open communication flow among the members. They are not in the office where they can directly come and ask about any particular problem or solution. So, there should be a proper communication system in place. Communicate using latest technologies such as Skype, Google Hangouts, Gmail and be consistent in your communication throughout. Set the goals & objectives: Set clear and concise goals and objectives and make them known to your remote team so that everyone is on the same page. Communication about the goals and objectives should be a periodic activity to the remote professionals to act as a reminder from time to time. Outline key performance metrics which gives proper insights to the employer as well as to the professionals to scale their productivity. Focus on results: Rather than counting how much time they worked, focus on the output. You must keep a tab on the work hours spent, but the central focus should be to complete the business goals and objectives. Just passing the time without working with concentration will yield no profitable outputs. So more than time, the result matters. Promote teamwork and spirit: Be approachable and helpful when working with remote team members. You need to ensure that your team is getting along well with each other because ultimately team members will be the one who will play a crucial role in successful project completion and delivery. These are the few steps which help a business person in managing their remote team in need of the time. If you are leading a remote team, we would love to hear from you on how you are managing your team. Share your part of the story to us here. We unlock more solutions that will help you build a winning team that helps your business achieve long-term stability and revenues. To read more, download our FREE eBook.